Searching for users is extremely simple. Just open the People section from the Happeo main navigation and start typing. The search searches from all user fields, including any additional information the user may have added about herself – for example skills. Search results include People and Groups based on a best match to the search term. 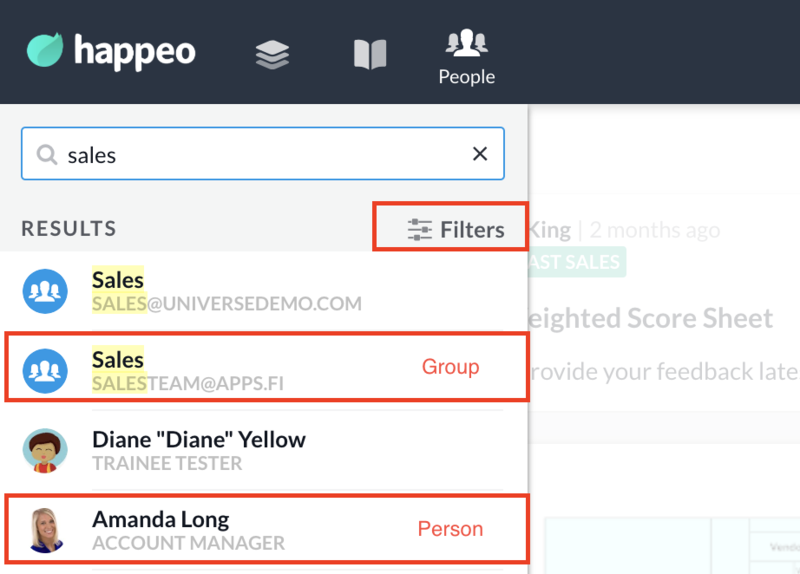 To apply filters such as filtering out Groups you can click filters in top right corner to open the main Search. Clicking the search result will reveal the full User Card. From the user card you can call the user, send them an email and start a Hangouts call. The card also shows user information, the current calendar status, groups the user belongs to and the organisation chart.